Colocation Defined: What Is Colocation? Colocation is the practice of housing your servers in an offsite data center facility. The data center provides access to cage space, electrical power, cooling, networking equipment, and access to a variety of telecom and internet service providers at a monthly rental fee. In addition to these standards, many data centers that provide colocation services are equipped with advanced physical security, such as biometric locks. While costs for colocation vary by service provider, rental fees for colocation services are generally less expensive and less complex than in-house alternatives. In very standard terms, colocation facilities act as a ‘hotel’ for servers and other critical technology dependent upon an internet connection. Want More Info About Our Colocation? 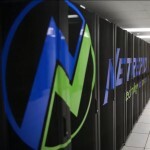 Why Do Businesses Contract With A Colocation Facility? Infrastructure Visibility – It can be very time consuming to determine exactly which server hosts which storage components and networks. Data centers provide infrastructure visibility so you can easily track server resources, storage capacity, performance and usage. Its capabilities allows you to monitor the physical and virtual server configurations at-a-glance. Storage Allocation – Data centers help you make better decisions for allocating storage capacity. This makes it easier to manage your company’s data, as well as the center’s infrastructure. You can provision your systems to preserve the storage capacity you currently possess by allocating less or more capacity to each virtual machine. Increased Application Efficiency and Availability – The Netrepid Data Center puts all of your application information right at your fingertips. This increases efficiency by helping you put the proper applications on the correct hardware. It also helps you to ensure that each individual application is using the correct resources that have been assigned to it. This increases each application’s availability, while lowering your over costs.